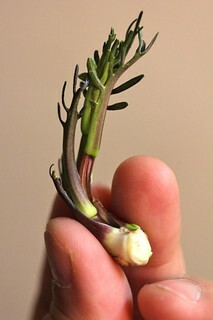 I saw several Horseradish roots at a local grocery store and some had sprouts growing out of it. There were several sprouts broken off and I had to save this one. I hope it'll grows, so I placed it in a little bit of water to try to get it to root.